Natural Theatre, founded in 1970, is one of Europe’s leading practitioners of street and off-stage theatre. 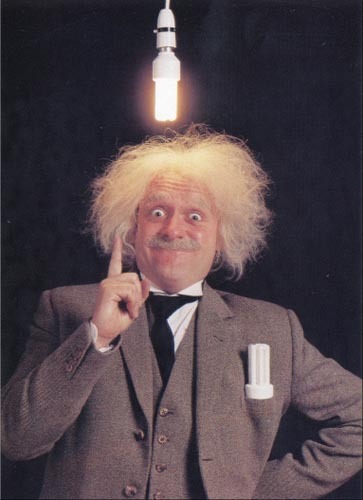 In addition to our renowned comic-visual performers we have a range of historical characters, from jokey Georgians to entertainingly educational interpretations of such past heroes as Einstein and Brunel. 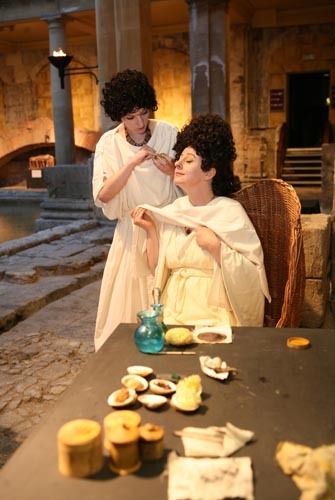 We have a major contract at the multi-award winning Roman Baths Museum in Bath, where our highly researched and accurately costumed Roman citizens appear on a daily basis, demonstrating fascinating aspects of city life in ancient times, from coiffure care (left) to stone carving! We can devise projects large or small for museums, schools and exhibitions ranging from toga-tying workshops to long-term interpretation contracts. Costumed interpretation is being used more and more, both as an educational tool for children and adults and to enhance visitor experience to stately homes, historical sites and museums. Much research has been published proving that visitors learn far more through experiencing the ‘time machine’ effect that costumed interpretation even in its most basic form can give than from a static exhibit. Audience experience can range from simply looking at ‘how things were’ to actually taking part in an interactive experience. Put quite simply, costumed interpretation increases learning opportunities and visitor numbers! Fact! Natural Theatre is a member of the International Museum Theatre Alliance.